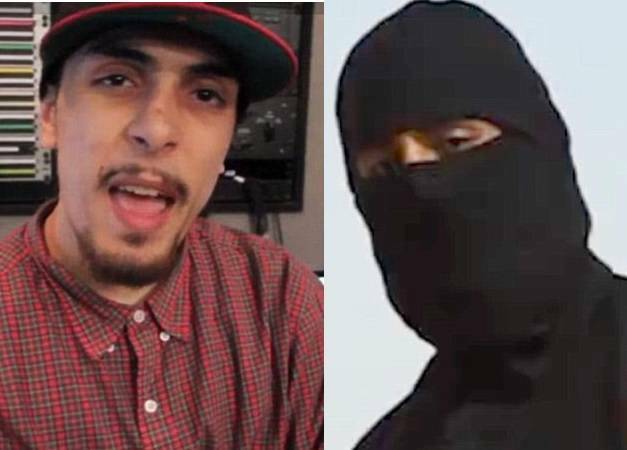 There is some disagreement among intelligence agencies as to whether Abdel Majed Bary is the man who beheaded Foley, Sotloff, and possibly British aid worker Alan Henning. But let there be no mistake about it, Bary was quite capable of it. He had the motive and a predisposition to violence. He was quite proud of his jihadist activities when, in April, he posted a picture on his Facebook page of himself holding the severed head of an ISIS opponent with the caption, “Chillin’ with my homie or what’s left of him.” But how can we really know that the hooded man who did the beheading was actually him? How can we know anything about that person at all? Here’s how. First of all, knowing the height of the victims, we can calculate how tall the killer was. We know his weight, we know something from his eyes, the veins on his hands, and his voice. Most importantly, we know the killer was probably left handed and spoke with a British accent. Next, we can apply some statistics. At the time of the murder, the British government estimated that around 500 jihadis had left from England. Since 10% of the population is left handed, we can estimate that 50 jihadis shared this trait. That leaves us with the British accent. Linguistic experts analyzed the speaker’s accent, vocabulary, and intonation patterns to determine which part of Britain the killer came from. Their conclusion was that he was from a poor area of south London where a number of ethnic groups lived in close contact with each other. There was also, perhaps, some Arabic influence seen on his speech patterns. For argument’s sake, we can assume that no more than 20 of these jihadis would match this data. From this group, some could be eliminated on the basis of the height and weight data. Others could be eliminated through the analysis of the killer’s eyes and hand vein patterns. So at this point, it would be unlikely that more than 10 British jihadis would fit the criteria, probably even fewer. This is where the software comes in. 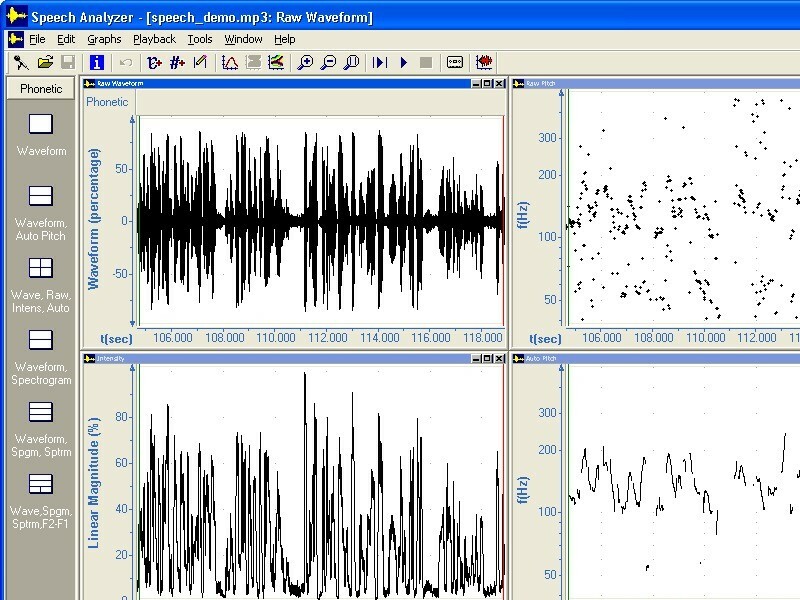 There is software that can do comparative analysis of speech components. In other words, if you have two distinct speech samples, you might be able to determine whether they come from the same person or not. I say “might” because speech, unlike what many may think, is not like a fingerprint. Still, the speech analysis software can do a good job. It can look at individual phonemes (sounds), rate of speech, pitch, intonation, and so on and give a spectrographic analysis of two samples in a way that makes comparisons quite easy. Even free speech analysis programs, such as Speech Analyzer, are quite powerful. In other words, if we can get speech samples from the remaining 10 jihadis who could have killed Foley and Sotloff, we have a good chance of determining who the killer was. I’m not sure how easy it was to get voice samples from some of these 10 people, but it was really easy to get a voice sample from Abdel Majed Bary. That’s because he was a rap singer who went by the name of L Jinny and was good enough to have his music played on BBC radio. Unfortunately for him, intelligence agencies have many voice samples to choose from to make an analysis. According to UK’s Independent, “a sound expert who compared the footage of the brutal killing with Bary’s rap songs told the paper there was a ‘big likeness’ between the voices.” If you want, you can download the free software and compare one of Bary’s songs with his rant (which begins at about 1:45 into the video) and reach your own conclusions. I should note that some have claimed that the voice was electronically manipulated to make it sound lower, but that’s hard to verify. The Daily Mail claims that “there has been a noticeable attempt to disguise the voice using synthesizer technology.” If you happen to reach some conclusions during your comparison, be sure to tell the FBI by filling out this form. Bary also has the motive. He is the son of an Egyptian-born Al Qaeda member who is awaiting trial in New York on terrorism charges for his connections with the 1998 bombings of embassies in Kenya and Tanzania. What could be better revenge than killing an American? In fact, initially, there seemed little doubt that Bary was the killer. But there are some problems. The main one is, was Bary left-handed? I’ve seen no evidence for this, either in his videos or other reports on him. The people who claim that he is left-handed use the picture of him holding the severed head in his left hand as evidence. But if he was a dedicated jihadi, he would not hold something so unclean in his right hand. In fact, dedicated, Muslim fundamentalists will not even shake hands with a non-Muslim with their right hands. Others claim that the video was staged and that there is no clear evidence that Bary, or whoever was in the video, did the actual killing. Maybe not, but if all evidence points to him being at the scene, he was, then, certainly an accomplice to the murders, so there’s no need to worry about violating his rights here. It was recently claimed that Jihadi John, as the media calls him, may have been spotted by drones. Didier François, a French journalist released earlier this year, claims he has a good idea about who Foley’s murderer is, but he isn’t talking. Recently, the FBI also said they knew who the killer was but would not release his name. They may not want to drive him into hiding. FBI Director James Comey stated, “I believe that we have identified him, I’m not going to tell you who I believe it is”. Although he claimed it probably wasn’t Bary who did the killing, this does not rule out that Bary was there. It appears, from what he said, that a North American may be the person who performed the actual execution. The FBI has recently released a statement asking Americans to help with the investigation. They are asking for help from those who may have information about a masked North American jihadi seen in an ISIS promotional video. Whether this is the same man wanted in the beheadings is unclear. So, for the moment, anyway, it appears the identity of the killer is not known with 100% accuracy and the extent of Bary’s participation in the killing is awaiting more investigation. Posted on October 14, 2014 by Steve MierzejewskiTagged Abdel Majed Bary, fbi identifies isis murderer, fbi wants help, Foley Sotloff murderer, L Jinny, speech analysis software identifies isis killer, speech analyzer.